Please call 312-787-6604 or email us at orsosparties@gmail.com with additional questions. Our patio bar is heated all winter long! Available for private parties throughout the season. Pckages from $18.95-$26.95 per person + tax + service fee. 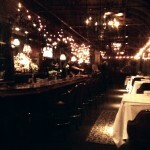 Add $18 per person for House Wine, Mimosas, Bloody Marys. Includes choice of soup or salad, one of three entrees and dessert. (Served individual or family style. $23.95 per person + tax + service fee. Includes choice of two appetizers, soup or salad, one of three entrees, and dessert. (Served individual or family style.) $36.95 per person + tax + service fee. 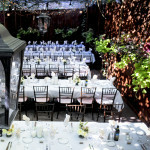 Includes warm and cold hors d'oeuvres such as sausage & peppers, mini caprese, stuffed mushrooms, bruschetta, and more. Packages including imported and domestic beers, and house wine start at $23.00 per person for two hours. Packages including brand liquors start at $26.00 per person or two hours. tax + service fee will be added. Let Orso's cater your next event and take your mind off everything that needs to be done. Our catering offers, appetizers, salads, sandwiches, specialty pastas, sides, and desserts, and more. Your choice of two appetizers, salad, assorted pizzas (choose three different types), choice of dessert. $26.95 per person + tax + service fee. 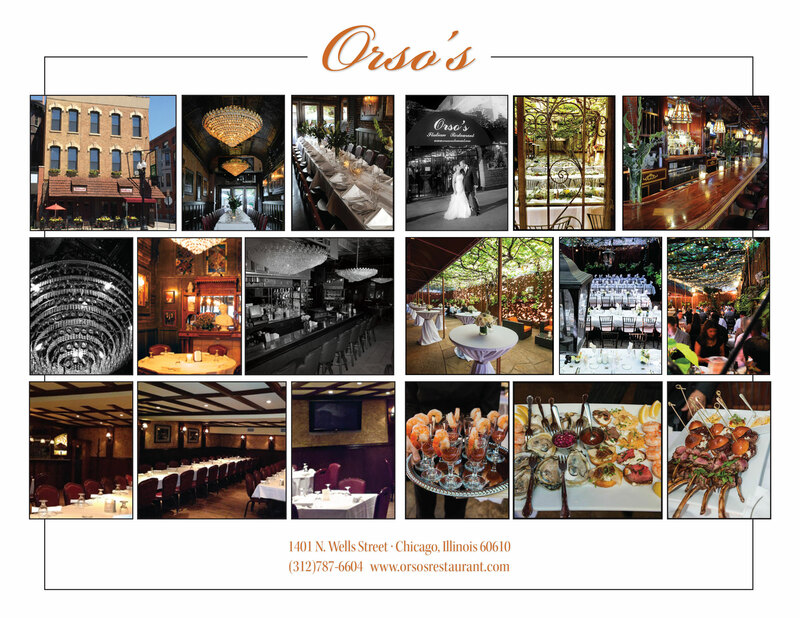 Celebrate the holidays with Orso's. Seasonal packages vary and include dinner, luncheon, and pizza party packages. proudly designed by hagioart. backend by martha berner.